Cris Cyborg vs. Amanda Nunes isn’t official, but that hasn’t stopped oddsmakers from going to work. Cyborg vs. Nunes has been talked about for a while now. Those discussions have only heated up following the recent champion vs. champion bout between Daniel Cormier and Stipe Miocic. 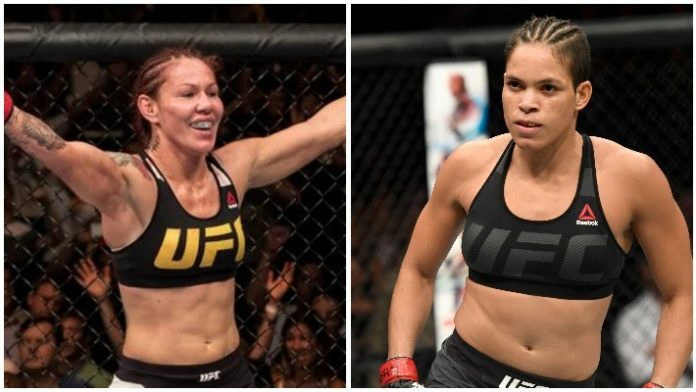 Nunes recently revealed that she signed a contract for UFC 232 and is waiting for Cyborg to sign. The UFC women’s featherweight champion wants the bout to take place sooner. It didn’t take long for odds to show up on BetDSI. Cyborg is listed as a -220 favorite over Nunes, who sits as a +180 underdog. These are the closest odds there has ever been for a Cyborg bout during her time in the UFC. Cyborg last competed back in March. She successfully defended her UFC women’s featherweight title against Yana Kunitskaya via first-round TKO. It was Cyborg’s second successful title defense. As for Nunes, she was dominant in her title defense against Raquel Pennington. “The Lioness” stopped Pennington in the fifth round, leaving the challenger a bloody mess. Nunes has successfully defended her bantamweight gold three times. She once fought in the featherweight division, so taking a trip to 145 pounds would not be uncharted waters. Do the odds surprise you? Were you expecting them to be closer or further apart?